This monthly post tracks developments around the “China Dream” since September 17, 2013 and engages Manoranjan Mohanty whose view was summarized in the rejoinder to my previous post. Mohanty suggested that the “China Dream” was used mainly as a political mobilization instrument and did not represent a fundamental shift in Chinese policy making. I agree that the “China Dream” is serving a mobilization role but it also reveals what Xi is trying to mobilize the party and masses for. While the “China Dream” continues to be a moving target, we now have more evidence to gauge where Xi is headed and how the “China Dream” fits in the scheme of things. He appears each day more different from his two predecessors in ambition, determination and style. On September 22, Bo Xilai was sentenced to life in prison, punished for his refusal to cooperate during his trial. Xi Jinping won a costly battle and enhanced his personal authority. All signs point to Xi doing whatever it takes to reestablish the CCP as an all-powerful, long-lasting political force. Thus, one should assess Xi’s “China Dream” through his own dream, which transcends a simple divide between the left and the right. Xi may win another major battle at the party plenum in November. But can he win the war? The party is full of people interested only in milking the party cow even if they do not want the cow to die. And your average Chinese citizens are strongly discontented with the party officialdom. A top-down, campaign style crackdown on corruption will not solve the problem. Mao Zedong’s tactics, which Xi is emulating, did not work before. Why should they work now? Xi has been promoting a similar campaign to purify the society. That brings back memory of the “anti-spiritual pollution campaign” in the mid-1980s. The main difference is that General Secretary Hu Yaobang could stop the campaign launched without his approval. This time around, a campaign targeted on the masses could go on much longer, leading potentially to abuses and may well shrink the social space expanded under Jiang Zemin and Hu Jintao, which was a crucial reason for China’s rise. While Xi’s moves in the political and ideological arena remind one of the Mao years, he has also been pushing economic reform even if one may debate how serious these reform measures are. Xi and Li Keqiang appear to be on the same page regarding economic reform. Li had fought to establish the Shanghai Free Trade Zone, which officially opened on September 29. Curiously, Li did not show up. Despite much anticipation, the Shanghai Free Trade Zone is currently not as ambitious as Shenzhen relative to the respective stage of development of the country. Xi has reportedly instructed his trusted economic advisor Liu He to chair committees to formulate a blueprint for economic reform for the November party plenum. Liu who assisted former Premier Zhu Rongji is widely viewed as an economic reformer.8 No wonder some China observers have suggested that Xi is feigning left to move right. Indeed, Xi emphasized the reform theme at the Asian Pacific Economic Cooperation forum (APEC) summit on October 7. Xi cannot be easily labeled right or left. As I have indicated in this forum before, I view Xi as seeking to be above the fray and pursuing a statist ideology. He is closer to Mao politically, drawing from his life experience in his formative years under Mao. At the same time, Xi has risen in the Chinese system during the reform era. Thus, he should know well how reform works. He seems to be seeking a synthesis of Mao and Deng. That would be difficult. Deng departed from Mao, which allowed his reform to succeed. Now that China has been transformed in the past three decades, it would be even harder to bring the Mao political legacy back to life. Xi has scored points on the foreign policy front. For his last foreign trip of the year, Xi went to Southeast Asia for seven days to attend the APEC summit and also to pay official visits to Indonesia and Malaysia. Chinese commentators noted Xi’s confident tone at the summit, particularly his use of the word yinggai (should) four times about what Southeast Asia should do, diverging from his cautious predecessors on such occasions. On Xi’s heel, Li Keqiang attended the East Asia summit and visited Brunei, Thailand and Vietnam, staying in Southeast Asia from October 9 to 15. China is shoring up its position in Southeast Asia to counter America’s “rebalancing” and shunning Japan and the Philippines. China gained some ground when President Obama canceled his long-planned trips to the APEC summit in Indonesia and the East Asia summit in Brunei and his official visits to Malaysia and the Philippines due to the government shutdown and impasse over the debt ceiling. One meeting should have only a temporary effect on diplomacy. But the Chinese government will now believe stronger in its own political economy system and foreign policy orientation. Three developments from the APEC summit and the East Asia summit warrant special attention. First, Xi proposed to reach a good neighborly treaty with the ASEAN at the Indonesian parliament on October 3. Li subsequently pushed the idea during his visit. This would be China’s third good neighborly treaty after Russia and Pakistan. Such a treaty would legally prevent Southeast Asia from being used by third parties against China. Beijing is becoming more proactive in seeking friends against the United States and Japan while maintaining its relations with Washington. Second, to provide incentives for a good neighborly arrangement and to counter the Trans-Pacific Partnership agreement, Li proposed to upgrade China’s free trade agreement with the ASEAN. Third, Xi told Vincent Siew, Taiwan’s representative at the APEC, during their meeting on October 6 that political solution between the two sides cannot wait forever. Taiwan’s President Ma Ying-jeou responded positively on October 10 that the two sides of the Taiwan Strait belong to the Chinese nation and their relationship is not an international one, signaling acceptance of a One China framework. 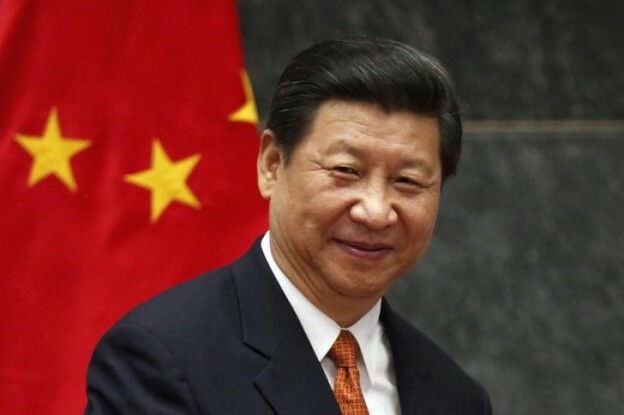 A Xi-Ma meeting may now occur at the APEC summit in Beijing next year. If realized, any of the three goals would greatly enhance China’s influence in the Asia Pacific and a political breakthrough with Taiwan would also greatly strengthen the political legitimacy of the Chinese government and elevate Xi’s standing in Chinese history. 1. Xinhua News Agency, September 17, 2013, http://www.chinanews.com/gn/2013/09-17/5295985.shtml (accessed September 17, 2013). 2. China News Agency, September 26, 2013, http://www.chinanews.com/gn/2013/09-30/5342321.shtml(accessed September 26, 2013). 3. China News Agency, September 30, 2013, http://www.chinanews.com/gn/2013/09-30/5342171.shtml (accessed September 30, 2013). 4. Xinhua News Agency, September 30, 2013, http://www.chinanews.com/gn/2013/09-30/5342321.shtml (accessed September 30, 2013). 5. Xinhua News Agency, October 2, 2013, http://www.chinanews.com/gn/2013/10-02/5343675.shtml (accessed October 2, 2013). 6. Xinhua News Agency, September 25, 2013, http://www.chinanews.com/gn/2013/09-25/5322961.shtml (accessed September 25, 2013); CCTV, September 26, 2013, http://news.cntv.cn/2013/09/26/VIDE1380147473833886.shtml (accessed September 30, 2013). 7. People’s Daily, October 3, 2013, http://politics.people.com.cn/n/2013/1003/c1024-23099070.html (accessed October 2, 2013). http://online.wsj.com/article/SB10001424052702304906704579111442566524958.html#articleTabs%3Darticle (accessed October 7, 2013).